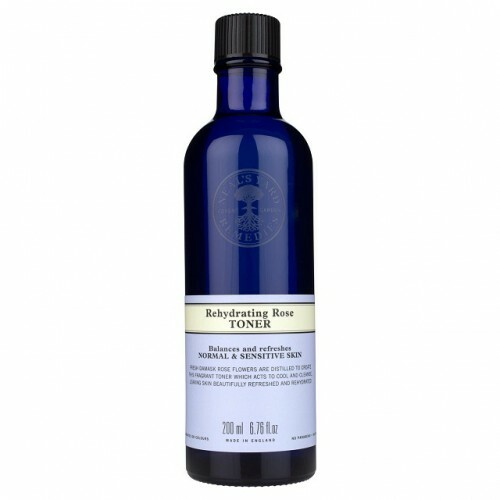 Our best selling Rehydrating Rose Toner (formerly known as Rose Water) balances, cools and hydrates normal and sensitive skin types. With naturally refreshing damask roses and a delicate floral scent, this award winning customer favourite tones your face and primes your skin to better absorb serum and moisturiser. Apply with cotton wool to refresh and prime your skin. 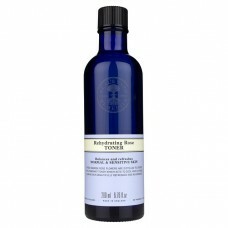 For best results use after Rose Facial Wash and before Rehydrating Rose Daily Moisture. 1. Drink plenty of water - Your skin needs water - 2 litres a day, including from food, is ideal. Add a slice of lemon to restore your skin's brightness. 2. Use a facial oil - Harsh weather conditions take their toll - help protect skin by adding a few drops of facial oil when applying your moisturiser. *Organically produced ingredient. Natural constituent of essential oils listed.Made with 95% organically produced ingredients.